… is a ph-neutral cleaning and care product. … is environmentally compatible, non-poisonous and is not subject to labelling requirements. A safety data sheet is available. … contains organic substances, such as essential and mineral oils, surfactants and emulsifiers. … cleans the surface of pianos intensively and thoroughly, as well as of persistent residuals, such as rosin. A multiple usage is harmless. … is free of wax and silicon and does not contain any abrasives. … makes the instrument stain and water resistant. … contains a protection against UV radiation (see keyboard care). … is an emulsion which provides the surface elasticity and a shiny appearance. … is a moisturizing and preserving emulsion. 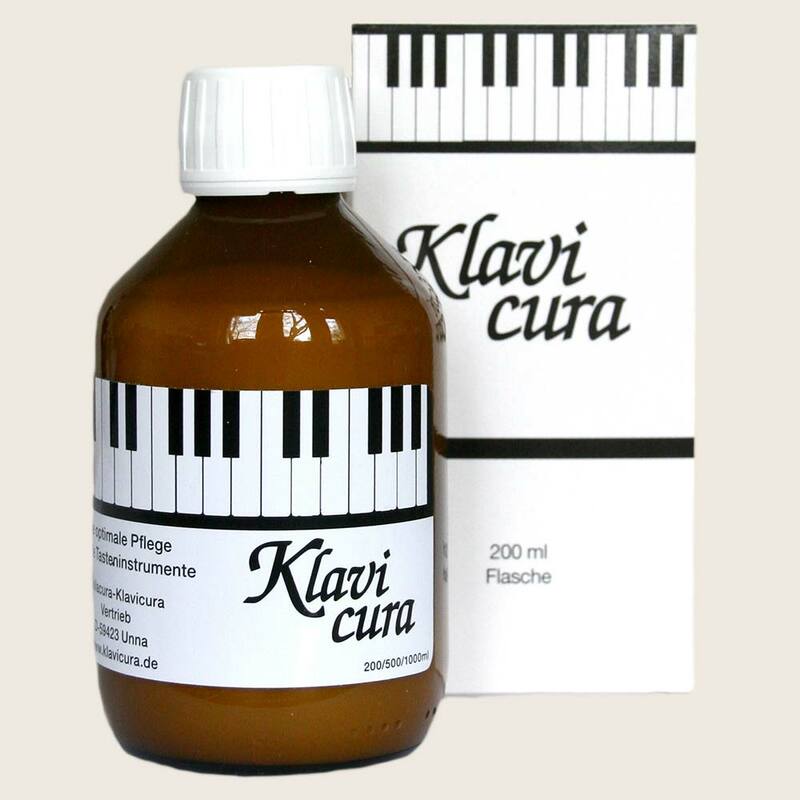 KLAVICURA Pflege-Emulsion is a wax-free emulsion which is particularly developed for polished pianos. If light or dark, matt or polished, KLAVICURA Pflege-Emulsion covers almost all possible applications. It cleans hygienically, prevents the drying out of the wood and cracking and is resistant to stains and water. KLAVICURA Pflege-Emulsion has an anti-static effect and contains UV-absorbers. It protects and conserves without any environmental impact. 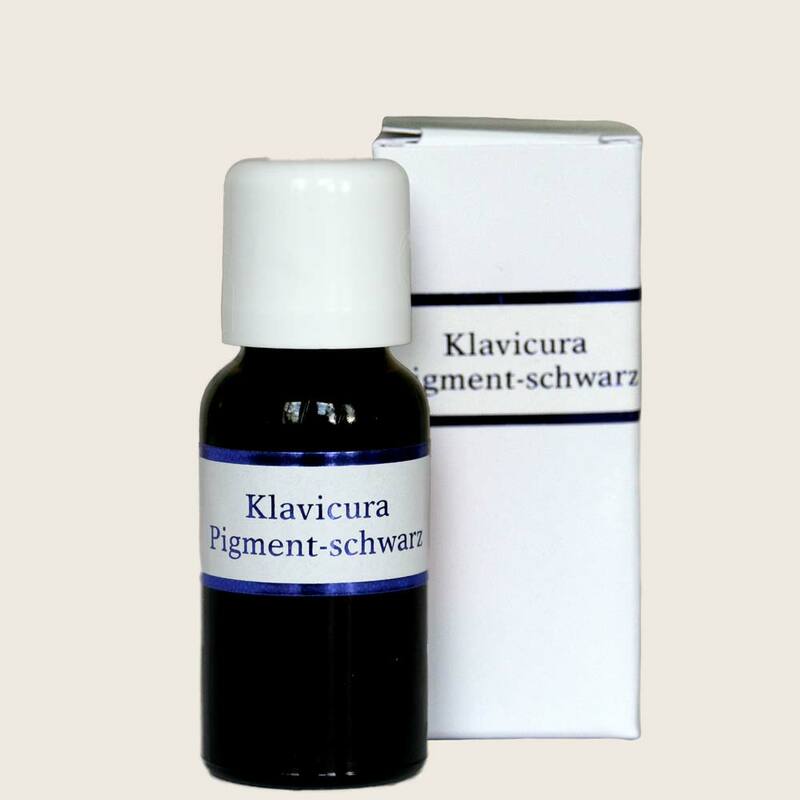 KLAVICURA Pflege-Emulsion may also be used for the cleaning of the keyboard. KLAVICURA Pflege-Emulsion gives the instrument a shiny appearance and a depth effect. It may be used for all common varnishes and is easy to use. The product has virtually no expiration date, is mild, highly sustainable and is to be used sparingly.